In early April, House and Senate leaders received the Community Letter in Support of Nonpartisanship, a strong statement from nearly 4,500 charitable nonprofits, including religious organizations, foundations, and others committed to retaining the protections that prohibit 501(c)(3) organizations from endorsing, opposing, or contributing to political candidates. You can now download state-specific Individualized versions of the Community Letter and send to your Representatives and Senators along with a personal message about why maintaining nonpartisanship is essential to advancing your mission. Two subcommittees of the House Oversight and Government Reform Committee have scheduled a hearing on Thursday, May 4, “examining a church’s right to free speech.” During the hearing, legislation to repeal or weaken the Johnson Amendment is expected to be a central topic of discussion. Readers are encouraged to check to see if a Representative from your state serves on either the Government Operations Subcommittee or the Health Care, Benefits, and Administrative Rules Subcommittee and send them your state’s individualized Community Letter in Support of Nonpartisanship. House and Senate negotiators reached bipartisan agreement on a spending plan to fund the federal government for the remainder of fiscal year 2017, which runs through September 30. Early Monday morning, lawmakers introduced a $1 trillion comprehensive government funding bill that generally would maintain existing spending levels, including continued funding for the nonprofit Planned Parenthood, restore year-round Pell Grants for low-income college students, while providing $8 billion in emergency and disaster relief funding for southern and western states. The bill includes new money for military operations and an additional $1.5 billion for border security technology and repairs to existing infrastructure. The House could vote on the 1,665-page legislation on Wednesday and the Senate shortly thereafter, in advance of the expiration of the current stopgap spending bill that expires at midnight on Friday. 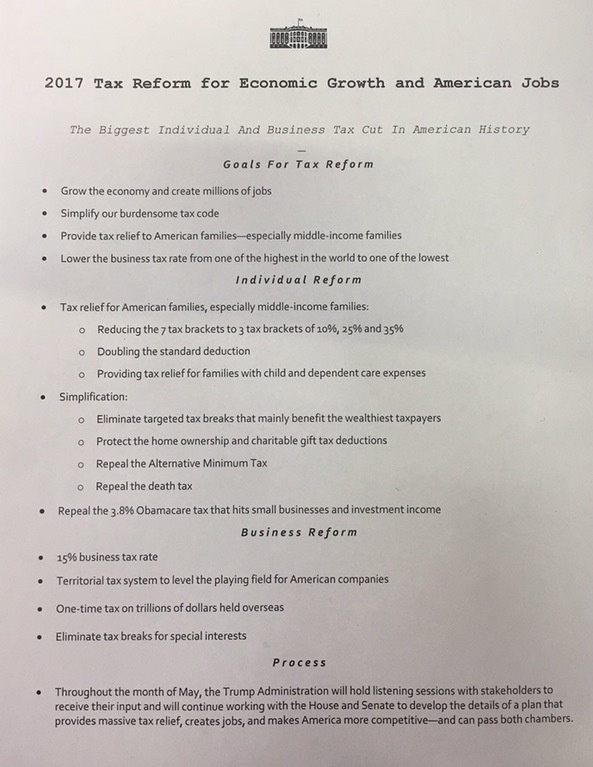 The White House released a one-page summary of President Trump's tax reform proposal which it billed as "the biggest individual and business tax cut in American history." The proposal calls for lowering individual and corporate income tax rates, nearly doubling the standard deduction to $12,000/individual and $24,000/couple, eliminating all itemized deductions except for charitable contributions and mortgage interest, and repealing the estate tax and alternative minimum tax. The National Council of Nonprofits pointed out that the plan’s nominal proposal to “protect the charitable gift tax deduction” is illusory because doubling the standard deductions would "effectively eliminate the tax incentives for millions of individuals and couples to give to support the work of charitable nonprofits in cities, towns, and rural areas across the country." Research on a similar proposal by the Urban Institute forecasts that the number of people itemizing deductions would plummet from 30 percent of Americans to only 5 percent, thus eliminating the incentive to give. Several national organizations are making the case that Congress should remedy this challenge by creating a non-itemizer, or “universal,” charitable deduction open to all Americans to continue to encourage Americans to give generously to the missions and work they support. President Trump’s Executive Order blocking all federal funds to jurisdictions that do not follow the Administration's directives to detain immigrants to be deported from the United States is unconstitutional and unenforceable, a federal judge in San Francisco ruled last week as he issued a nationwide injunction. The injunction blocks the Administration from enforcing a key portion of Trump's January executive order on deportations, which ordered that undefined “sanctuary jurisdictions” be punished by preventing them from receiving federal grants – including, as Attorney General Sessions had warned, “‘withholding [of] grants, termination of grants, and disbarment or ineligibility for future grants,’ and the ‘claw back’ of any funds previously awarded.” In his ruling, Judge William H. Orrick sided with Santa Clara County and the City and County of San Francisco that had challenged the Executive Order and were supported by dozens of amici curiae (“friends of the court”) who filed 16 sets of supporting briefs – including nonprofits, sheriffs and police chiefs, cities and counties, public schools, constitutional law scholars, technology companies, and the State of California. One amici brief by nonprofits put the Executive Order’s sweeping scope and massive collateral damage in context: if the federal government withheld $1.7 billion in federal funds from Santa Clara County, the County could not pay its existing or future nonprofit grants and contracts, hurting those entities and the millions of people they serve – none of whom have anything to do with federal immigration policy or local enforcement decisions. Read the nonprofit amicus brief. Nonprofits and H-1B Visas: President Trump signed the “Buy American and Hire American” Executive Order calling on federal officials to review H-1B visa policies and ensure they are “awarded to the most skilled or highest paid petition beneficiaries.” H-1B visas, which overwhelmingly go to tech companies, are meant to bring foreign skilled workers to the U.S. to fill jobs for which no qualified Americans are available. President Trump stated the visas should only go to the “highest-paid applicants,” which could further restrict academics and lower-wage employees, including those needed by nonprofit employers. Comp Time Considered: The House Committee on Education and the Workforce approved legislation that would allow private sector employers to offer their employees compensatory time off instead of overtime pay for extra hours worked. Currently, only public-sector workers can choose to take an hour and a half off for every extra hour rather than receive overtime pay. No House floor action is scheduled at this time. Administration Seeks Input on Government Reorganization: The White House is seeking input from the public on how best to reorganize and reform the government to improve the efficiency, effectiveness, and accountability of the executive branch. 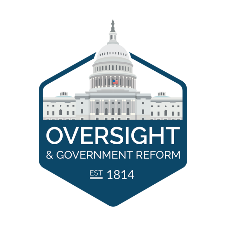 The outreach is intended to generate ideas that will help the Office of Management and Budget propose a plan to reorganize governmental functions and eliminate unnecessary agencies, as directed by an Executive Order signed by the President in March. Public comments are requested by June 12. State legislators across the country are spending much of 2017 questioning longstanding policies on nonprofit property tax exemptions. Last month in Louisiana, the Chairman of the House tax committee introduced two constitutional amendments that would empower the government council in New Orleans and local governments statewide to reduce the property tax exemptions of nonprofits by as much as 50 percent. As in 17 other states, the Louisiana Constitution prohibits state or local government officials from levying taxes on the property owned by nonprofit corporations and used for their charitable purposes. The two constitutional amendments, if approved by the Legislature and voters in an October election, would mandate that the local governments must reduce the property tax rates on other taxpayers in the jurisdiction when imposing the new tax on the nonprofits, presumably ensuring public support against nonprofits. Elsewhere, legislatures have considered imposing new criteria for maintaining exemptions or other ways to whittle away at exemptions. The Governor of Maine is seeking to allow municipalities to charge nonprofits for assessments of certain municipal costs against some property currently exempt from property tax. Oregon has several bills pending that propose changes to property tax treatment for nonprofits, including one to create a study on ad valorem property taxation. Nonprofits have effectively advocated for the defeat of bills that sought to link executive compensation to property tax exemptions in Connecticut and Montana, but one measure in Massachusetts is still pending. Separate Connecticut legislation would empower local government bodies to deny the tax exemption for property due to a change in ownership or change in use of such property. Similarly, bills in Rhode Island and New Hampshire would have restricted or repealed the property tax exemption for nonprofit hospitals and educational institutions in the state. A Connecticut legislative challenge to the nonprofit sales and use tax exemption was defeated last week when the relevant committee voted to “hold” the bill in committee. The measure would have cost nonprofits and those they serve an estimated $216 million next year. See the CT Alliance testimony. Lawmakers in Georgia, Maine, and New Mexico have also considered expanding sales taxes to some nonprofits. 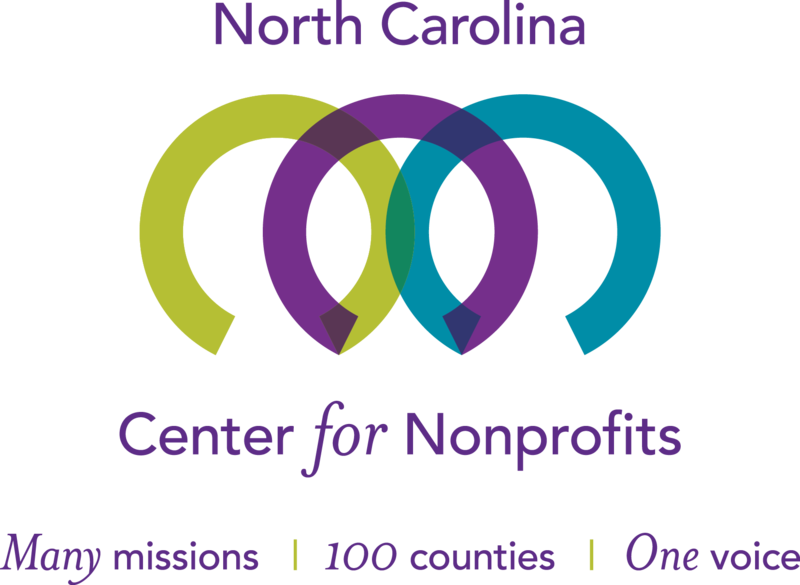 In Minnesota and North Carolina, bills are still pending that would expand or improve sales tax exemptions for nonprofits. The independence of nonprofits is coming under repeated challenges in court and in legislatures as individuals seek to extend government public records laws to private entities contracting with governments. The Northside Hospital in Atlanta, Georgia has been stuck in an ongoing legal dispute since 2013 that raises the question of whether a nonprofit performing work on behalf of a unit of government is subject to the same open records laws as public agencies. Citing its independence from open records laws as a private nonprofit, the hospital refused to provide financial disclosures and other documents pertaining to the acquisition of four physician practices when requested by an attorney. The Georgia Supreme Court heard oral arguments on the case last month and will decide whether to uphold both the district and appellate courts’ rulings in favor of the hospital. In January, the Washington State Supreme Court reached this conclusion that a nonprofit with a government contract is not subject to the state’s public records law in a case involving a nonprofit zoo. Legislation in Oregon would have required nonprofit corporations that meet certain requirements, such as receipt of public funds, to comply with that state’s open meetings law and public records law. The bill, which failed in committee, would have required nonprofits – which by law are independent, private sector entities – to post a copy of corporation's proposed annual budget to its public website and submit to and cooperate with audit requirements. It also would have subjected members of the nonprofit corporation's board of directors and officers and employees of the corporation to government ethics standards, which are designed for public officials and employees, not private entities. The Pennsylvania House of Representatives went on record last week calling on nonprofits and for-profit corporations to commit to increasing gender diversity by 2020. Specifically, the unanimously adopted Resolution states: “All nonprofit, privately held and publicly traded institutions and companies doing business” in Pennsylvania “should undertake a commitment to increase the gender diversity on their boards of directors and in senior management positions and set goals” of “a minimum of 30% of women directors.” The Resolution cites research from the Catalyst Research Center for Equity in Business Leadership and other groups to make the case for the economic benefits of gender diversity on private boards. California, Colorado, Illinois, and Massachusetts all have similar measures, Nonprofit Quarterly reports. A state Senator said, “Nonprofit advocates are the most bipartisan part of policy discussions,” noting that legislators across the political spectrum appreciate the work of nonprofits. He reminded nonprofits of the importance of both: (1) telling their stories effectively; and (2) showing policymakers evidence about the impact of their programs and services. Two state Representatives described how their experiences working with nonprofits has shaped their policy priorities. A House Appropriations Committee co-chair explained (and then demonstrated) the importance of legislators listening carefully to insights from nonprofits as they make important funding and policy decisions. A staff member for a U.S. Representative made clear that her boss’ top priorities this year are preserving incentives for charitable giving in tax reform and ensuring that Congress looks to cut nonprofits’ red tape as part of its regulatory reform efforts. Nonprofits have a variety of concerns about potential changes to health care policy. Some participants expressed apprehension that the potential repeal of the Affordable Care Act, reductions in preventative health programs, and block granting of Medicaid will mean more members of their communities will be uninsured, increasing burdens on nonprofits. Some remarked that a bipartisan interest in improving infrastructure could help improve public resources that are important to many nonprofits – such as transportation options for seniors and individuals with disabilities. All of which is to show that good things can happen when nonprofits and elected officials sit down together to listen to community concerns and fears, and then roll up their collective sleeves to seek common solutions. The webinar is designed to help nonprofits plan for nonpartisan voter registration efforts in 2017, covering registration tactics and best practices, and messaging that works. Register Now! - Statement of the CT Community Nonprofit Alliance, April 27, 2017, in opposition to legislation that would eliminate the sales tax exemption on goods and services purchased by nonprofit organizations. - Liz Farmer, staff writer for Governing, drawing parallels between the presumptions of economic activity resulting from the White House tax proposals released last week and the Kansas tax cut experiment of 2013. See This Week in Public Finance, April 28, 2017. “Keep pulpits politics-free,” Albany (NY) Times Union editorial, April 19, 2017, restating the case for preserving nonprofit nonpartisanship and calling for vigorous enforcement of current law. “Nonprofits back preserving limits on political endorsements,” Jane C. Simons, MiBiz.com, April 30, 2017, laying out numerous adverse scenarios for charitable nonprofits if the law on nonprofit nonpartisanship (Johnson Amendment) were to be repealed or weakened. “Dividing Philanthropy Into Favored and Disfavored Classes Is a Bad Idea,” Sean Parnell, Alliance for Charitable Reform Blog, April 21, 2017, discrediting a proposal to create differing levels of giving incentives for donations to higher education. “State, Local Government Groups Decry Trump Tax Plan,” Elaine S. Povich, Stateline, April 27, 2017, reporting on opposition to proposal to eliminate the federal income tax deduction for state and local taxes. 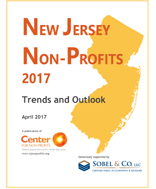 New Jersey Non-Profits 2017: Trends and Outlook, the Center for Non-Profits, reporting on survey data showing that demand for services has increased over the past year while expenses continue to grow, and nearly a third (29 percent) of respondents indicate that revenues will not match expenses. May is Community Action Month. The 2017 Community Action Toolkit from the Community Action Partnership is designed to help community action agencies communicate their successes in empowering low-income families, providing templates of social media posts, press releases, government proclamations, fundraising ideas, and event and activity information. Protect Nonprofit Nonpartisanship: Oppose Efforts to Repeal or Weaken the Johnson Amendment, National Council of Nonprofits, April 11, 2017, developed as a handout/leave-behind document for meetings with federal lawmakers as a way of showing the broad opposition to repealing or weakening the current law on nonpartisanship. The number of states that saw their credit ratings downgraded over the past year because of "chronic budget stress." Source: “Your state is probably facing a new dawn of public finance problems,” Gabriel Petek, managing director of Public Finance States group at S&P Global Ratings, writing in The Hill, April 4, 2017.